The International Prostate Cancer Foundation hosts a Celebration of Life Gala, in addition to smaller education and fundraising events. Do you have an idea for a fundraiser in support of prostate cancer? Our team is here to support you and find just what works for you. Let your passion, talents and interests lead you to your own fundraising endeavor. We are here to help every step of the way. Share your ideas with us. Become a fundraiser. ✉ HAVE AN AWARENESS or fundraising EVENT? The International Prostate Cancer Foundation celebrates 10,000 Lives Saved. To View the Full Gallery of images from the event. Click here. The evenings theme was centered around honoring International Prostate Cancer Foundation’s founder, Dr. Vipul Patel and his patients. The milestone of 10,000 lives saved was the celebratory feeling throughout the weekend. More than 200 guests, dignitaries and prostate cancer survivors were there to celebrate this amazing achievement. Held at the Villa Casa Casuarina in Miami, Florida (formerly owned by the famous Italian fashion designer, Gianni Versace) the weekend of Saturday, February 25, 2017 began with a fundraising luncheon. Our guests, board members and donors were extremely gracious leading us to raise funds beyond our expectations! 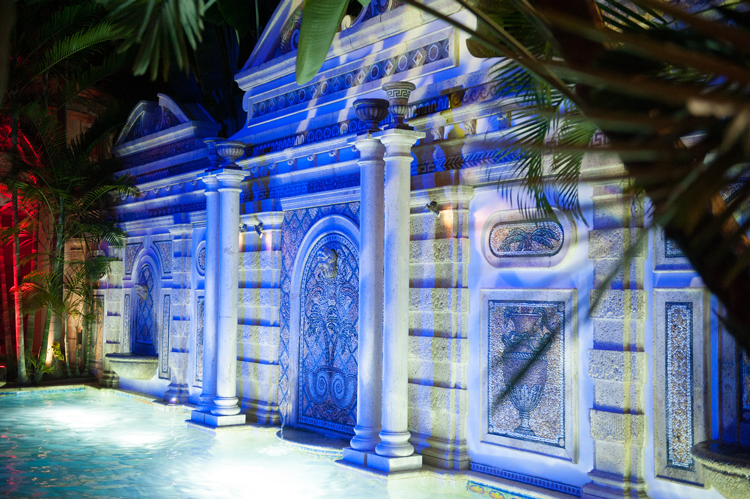 The evening opened in a dramatic fashion, complete with mermaids swimming in the grotto as a performance by PALO! welcomed guests onto the outdoor courtyard. PALO! was nominated for a Grammy and a Latin Grammy for their album PALO! Live. 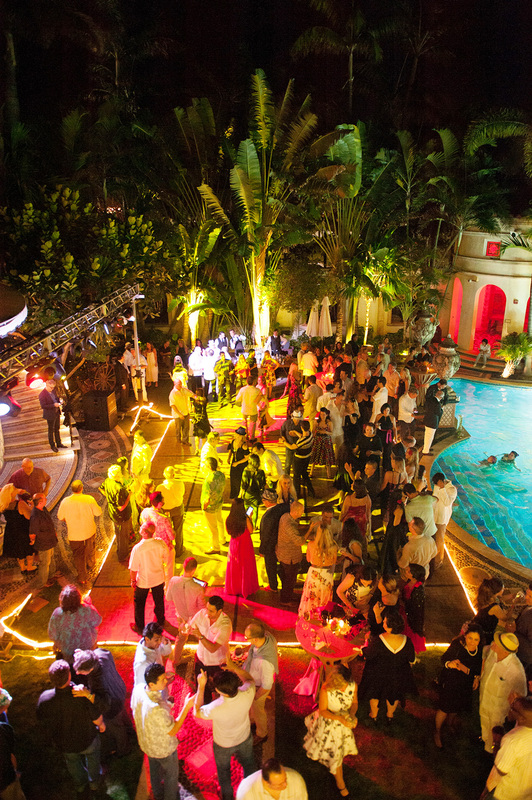 The 1940's Cuban theme encouraged guests to don their best guayaberas, and celebrate late into the night! The evening unfolded to a salsa dancing performance, guest mingling, and cocktails. The exuberance and love could be heard in the warm night winds late into the wee hours! The afternoon of Saturday, February 25, 2017 began with a Lunch and Learn hosted by Dr. Vipul Patel. True to our education mission, Dr. Patel gave an informational presentation titled "To Find a Cure". The presentation created awareness and opened the dialogue among the participants to the current happenings in prostate cancer treatment and care. What a great success! We couldn’t have done it without the support of the community and those of you who donate their time and efforts into finding a cure for prostate cancer. With support from an experienced board of directors and a team of volunteers, the Foundation has already reached millions of people thanks to people just like you. All event designs by Lisa Stoner Events. All event collateral, marketing, social media, etc. by 2u Creative. Photography of event weekend associated with this event is by Liga Photography. The International Prostate Cancer Foundation's 2nd Celebration of Life Gala was a great success! To View the Full Gallery of images from the full weekend. Click here. From the Silent Auction to the energetic rhythm experience, the night was electric. The theme was to celebrate the lives of the advocates and survivors of this formidable disease. More than 300 guests, dignitaries, advocates and prostate cancer survivors were there to support the cause and to help raise money towards our efforts to fund research, education and screenings. With IPCF just turning 3 years old at this event, Dr. Vipul Patel's dream continued its growth with each day. From spear-heading a change.org petition which tried to reinstate PSA testing to our partnerships with advocates such as NBA All-Star great Oscar Robertson, Philanthropist Tony Nicholson and Senator Nikki Setzler, prostate cancer awareness was spread throughout the evening. Many high-profile men have gone public with their prostate cancer experiences, and with foundations such as ours the movement will only grow. 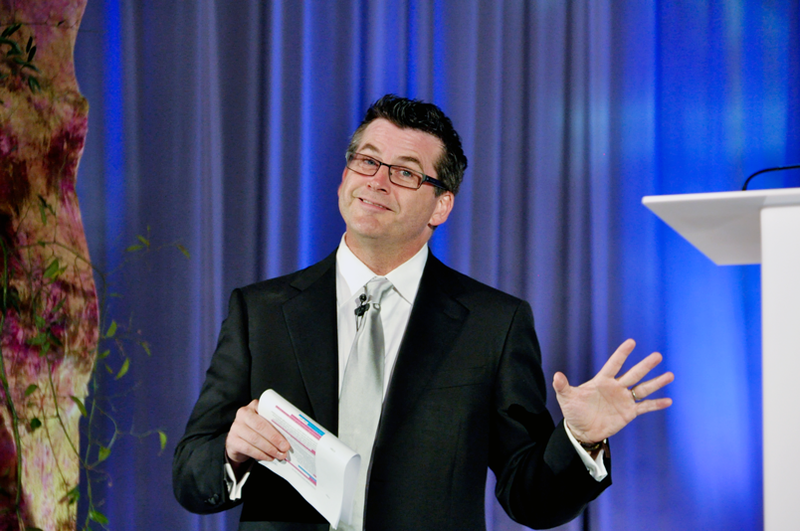 Patient education has always been a primary goal of IPCF, our 2nd Celebration of Life Gala wouldn't have been complete without our complimentary education symposium. Covering such topics as: Family History - What the Next Generation Needs to Know, and Overall Men's Lifestyle and Health Longevity, our commitment to educating patients and survivors is unparalleled. To read more in-depth on the program’s IPCF sponsors, Visit our Blog. Not to be forgotten are the esteemed Board Members, advocates and cancer survivors who spoke on behalf of the International Prostate Cancer Foundation. Inviting guests to Join the Fight, and help us create awareness, start new research, and spread education about the fight against prostate cancer. Also on this list are all the tireless vendors, service providers, and partners who helped make this night possible. 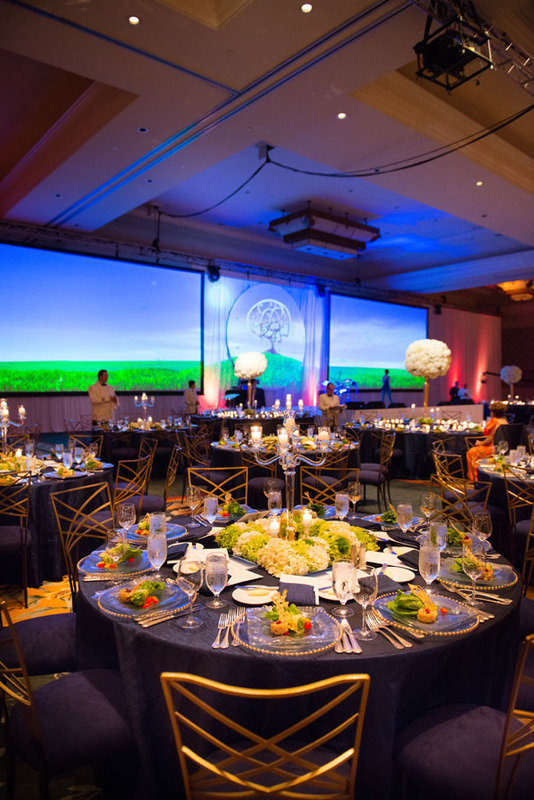 From the linens and floral to the stationery and the amazing food, a host of individuals came together to make this year's Gala a huge success! IPCF prides itself on our education programs. To date we have sponsored multiple education forums, formed a partnership with the Global Robotics Institute to create Blueprint - a survivorship program, and joined forces with Sanford-Burnham to develop better testing for prostate cancer detection. Held at the Lowe's Portofino Bay Hotel the evening of Saturday, March 8, 2014 began with mingling during the Silent Auction Viewing. Such items up for this great cause were: golf outings, autographed sports, music and entertainment memorabilia from some of the greats, just to name a few. Our guests and donors were extremely gracious leading us to raise funds beyond our expectations! What a success! We couldn’t have done it without the support of the community- and we thank all of those involved with the auction. All your efforts have helped us fulfill our mission. The evening opened in a dramatic fashion, with a performance by The Celebration Gospel Choir ushering guests into the ballroom. Later, the celebration continued with a tribute dance by The Orlando Ballet and the mood was elevated by Rhythm Experience. Drums, boxes, and trash cans are just a few of the inventive items used as percussion instruments to excite the crowd. Special thanks goes to these entertainers for sharing their culture and talents with us. 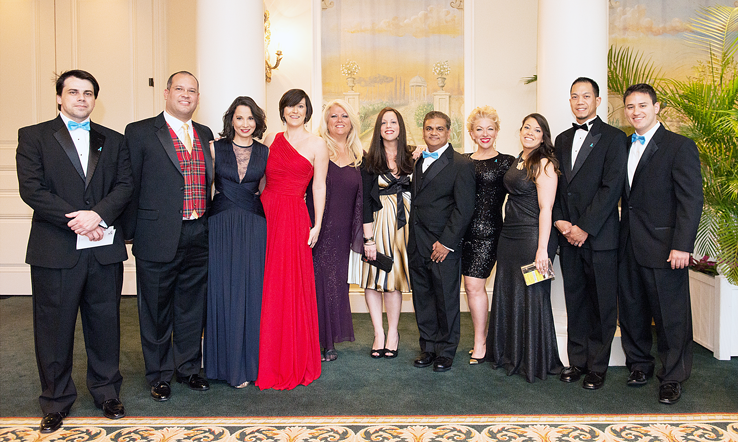 The Celebration of Life Gala was held in partnership with the Florida Hospital Foundation. Photography of event weekend associated with this event is by Liga Photography. All event designs by Lisa Stoner Events. All event collateral, marketing, social media, etc. by 2u Creative. The International Prostate Cancer Foundation enjoyed a successful launch. The theme was the celebration of life and the atmosphere was celebratory at the inaugural International Prostate Cancer Foundation Gala Weekend. More than 300 guests, dignitaries and prostate cancer survivors were there to "give prostate cancer the finger". 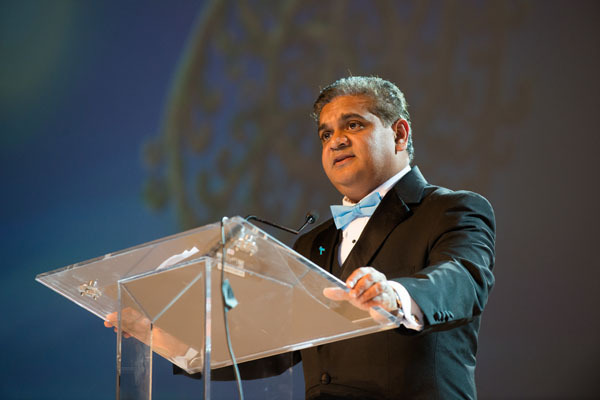 Dr. Vipul Patel's dream of creating a prostate cancer foundation to will promote research, educate men and encourage prostate screening was realized this year at the inaugural International Prostate Cancer Foundation Gala Weekend. 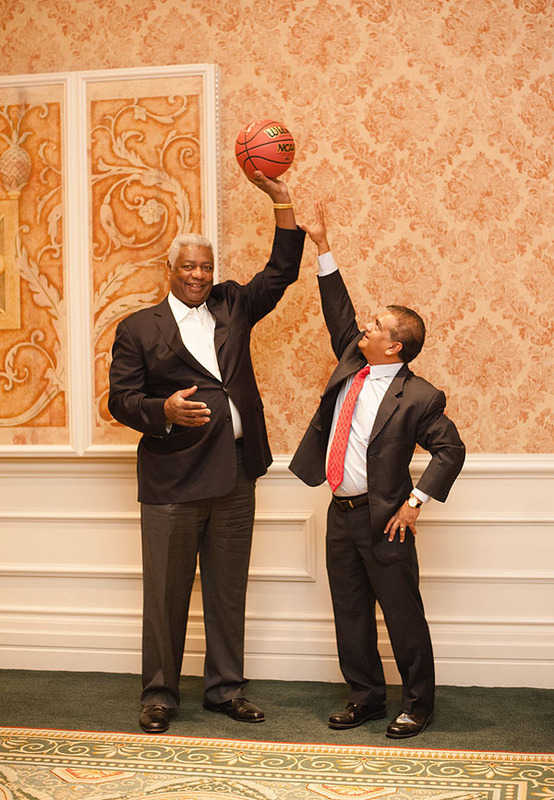 With support coming from an experienced board of directors and a team of volunteers, the Foundation has already reached millions of people thanks to Oscar Robertson's willingness to go public with his own battle with prostate cancer. He is the Foundation's All-Star survivor. The weekend began at The Waldorf Astoria Bonnet Creek Resort, with a board meeting, where all the members were made official ambassadors for the Foundation. A meet-and-greet cocktail reception followed the meeting, where board members and Dr. Patel's team could get better acquainted. The Foundation hosted an Education Symposium. Patients and supporters alike attended to learn more about prostate cancer facts, advances in screening and genetic research, and life after a prostatectomy - just to name a few. With such talented and educated advocates in attendance, this was a must-attend event for anyone who has been affected by prostate cancer. The Evening opened with a performance by The Celebration Gospel Choir and continued the celebration in honor of our diverse supporters with dancing from around the world. Much thanks goes to Orlando Bollywood, Tam Tam Congo, DeSamba!, and Alborea Flamenco Dancers for sharing their culture and talents during the evening. (pictured left column: Tam Tam Congo). The evening's entertainment closed with a tribute dance to honor those who have lost the fight with prostate cancer. This interpretive dance was performed beautifully by Chiaki Yasukawa and Daniel Benavides. The Celebration of Life continued with many of our esteemed board members and cancer survivors speaking on behalf of the Foundation, and why it is so important to join the fight, create awareness, and support research and education about prostate cancer. On a quick side note, we want to give a special thanks to Lisa Stoner Events, Amy Morelli of 2u Creative, and Jane McLean of The Waldorf Astoria for working closely with Dr. Patel and our board members for many months to create such an amazing event. (pictured above: Board Member Kenneth Palmer, Amy Morelli of 2u Creative, Dr. Vipul Patel, and Lisa Stoner Event Design.